Discovery Festival is an interactive STEAM festival hosted by Big Brothers Big Sisters. The goal is to introduce local students to STEAM business and job opportunities through hands-on activities and discovery. Approximately 2,000+ local youth will be in attendance. Our agency works with schools and student groups to plan class and school-wide field trips to our event. It is also open to the public. There is no charge for admission. Inspire future STEAM professionals. Become Discovery Festival sponsor. Pique your students interest and test their minds with activities that reveal careers in STEAM industries. Sign up your class today. Get involved by volunteering. We need volunteers to help us the day of the event. Find out how you can volunteer. Honeywell is the presenting sponsor of Big Brothers Big Sisters Discovery Festival. Inquisitive minds have been the driving force behind Honeywell's success for more than 125 years. Their STEM programming focuses on inspiring and preparing the next generation of engineers from elementary through graduate school. 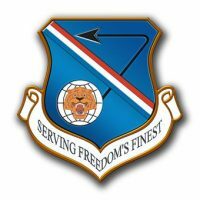 Air Force Research Laboratory is the Air Force's only organization wholly dedicated to leading the discovery, development and integration of warfighting technologies for our air, space, and cyberspace. AFRL is comprised of nine directorates located across the country. AFRL New Mexico is proud home of two of these directorates: Directed Energy and Space Vehicles. 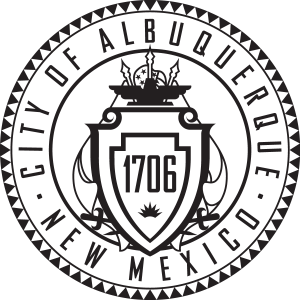 The City of Albuquerque works to create, diversify, and enhance job growth and to promote business development and stability. Lovelace Westside Hospital is proud to support a broad spectrum of community groups and programs in New Mexico including Discovery Festival. Aztec Machine and Re pair is a complete machining and fabrication for industry, oil and gas, and mining applications. Specializing in hydraulic and industrial repair, both in our shop and in the field. We can take care of your truck upfitting and equipment needs too. 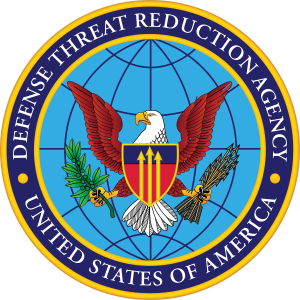 The Defense Threat Reduction Agency enables DoD, the U.S. Government, and international partners to counter and deter weapons of mass destruction and improvised threats networks. DTRA, like its legacy orgnizations going all the way back to the Manhattan Project during World War II, deals with some of the most serious threats to our national security. DTRA has a wide variety of programs to address these issues, from cutting edge research and development projects, to front line boots-on-the-ground training, to running the Defense Nuclear Weapons School for the U.S. military -- and dozens more. Ethicon believes amazing things happen when you bring people together with a common purpose. Ethicon is committed to helping advance surgical care so that more patients live longer, more fulfilling lives. The company is driven to develop meaningful solutions, enabling its customers to provide the treatment and positive outcomes patients deserve. New Mexico Gas Company cares. We believe in giving back to the communities were we live and work. Our employees do that through financial donations and, most importantly, by volunteering their time. Our staff participates in many activities that help communities across New Mexico. Sandia National Laboratories is operated and managed by National Technology and Engineering Solutions of Sandia, LLC., a wholly owned subsidiary of Honeywell International, Inc. National Technology and Engineering Solutions of Sandia operates Sandia National Laboratories as a contractor for the U.S. Department of Energy’s National Nuclear Security Administration (NNSA) and supports numerous federal, state, and local government agencies, companies, and organizations. Encouraging students to pursue science, technology, engineering & math careers is the goal of our K-12 programs. 2NDGEAR is focused on helping organizations do more. 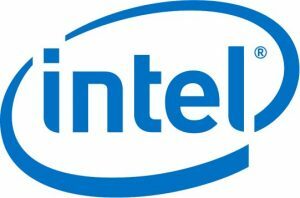 Whether that is a refurbished tablet helping a student learn or a data center allowing a business to expand, 2NDGEAR provides the technology and services people need— organizations can keep doing what they do best. ARA is an employee-owned scientific research and engineering company dedicated to solving critical nation al problems to improve our safety, security and way of life. In 1988, commercial general contractor Enterprise Builders Corporation was formed by Ralph Baldwin and David Doyle as a partnership within the construction industry. Since then, Ralph and Dave’s dedication, diligence and commitment to excellence have been proven time and time again by their outstanding reputation and repeat clients. Now, 30 years later our team serves as testament to the values of our owners and the quality of our work. Enterprise Builders specializes in new commercial building construction, tenant improvements and interior/exterior renovation projects. Fidelity Investments believes in making the complex, simpler—whether you work with us in person, on the phone, or online. From investing to financial planning and pricing, Fidelity Investments goal is to be straightforward and help with each individual's unique needs. 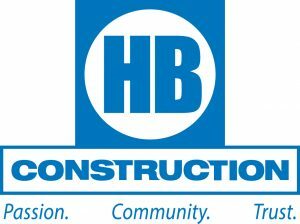 At HB, we defy business as usual by placing our focus on you, the project owner, and your project needs. We work together to find unique solutions to address challenges you face, regardless of their source. We are Built Different, and working with us will feel different. Ideum creates meaningful experiences that use emerging technology. Our approach is to create exhibits that evoke wonder, awe, and surprise, but that also tell important stories about science, art, history, and culture that have a lasting impact. We are committed to creating visitor-centric interactive experiences of substance delivered in immersive and exciting ways. Northridge Electric is one of the largest and most respected electrical contractors in Central New Mexico. Headquarted in Albuquerque, we provide a wide range electrical contractor services to clients throughout the region. 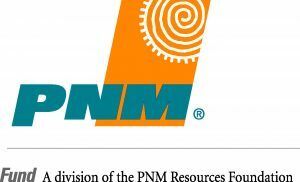 PNM is proud to contribute to strong families and vibrant New Mexico communities. Contributing to a wide variety of nonprofits in the communities we serve is important to PNM. Through funding from PNM shareholders, employees, customers and our company, we donate to programs that support education, economic development and the environment. The University of New Mexico Health Sciences Center works with community partners to help New Mexico make more progress in health and health equity than any other state.